The superfluous nature of Guided By Voices is entirely Robert Pollard’s fault. The band’s ever-rotating line-up leaves only Pollard for fans to cling to and the man’s reclusive, iconoclastic nature can be off-putting. Moreover, Pollard is so prolific that, not only are his albums often over-stuffed with tracks, between GBV, his solo work, and side projects he puts out three or four overstuffed albums a year! So why is GBV so revered in certain critical circles and boasting the support of an intensely loyal fan base? Because, while not every track is a hit, many of Pollard’s songs are pop-rock perfection. He’s Lennon and McCartney in a single body that, despite years of rock n’ roll wear n’ tear, still jumps, high kicks and shimmies across the stage, night after night. The particular night captured on the band’s latest live release, Ogre’s Trumpet, took place in August of 2017, in Asbury Park, New Jersey. A shot from the show, used for the album’s cover, shows Pollard, mid-jump, as if he was flying across the stage. It’s a fitting image for a live set that truly captures the best of what Guided By Voices can be: anthemic, hard-rocking and, in several beautiful moments, sublime. 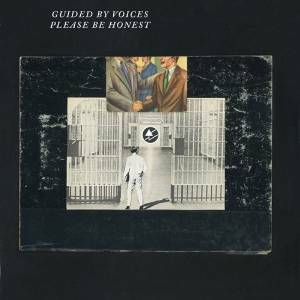 Some of the best of the best GBV songs are included here. “Game of Pricks,” “Cut Out Witch,” “Motor Away” and “Glad Girls” all get the royal treatment on Ogre’s Trumpet and, from the audience’s raucous response, clearly remain fan favorites. The presence of Pollard’s solo work like, “Love Is Stronger Than Witchcraft” is also quite welcome—new GBV guitarist, Bobby Bare Jr., turning already powerful riffs into seismic events. Bare’s work on the record, as a member of GBV, is superlative. Half of the set consists of newer GBV fare, like “King 007” and “The Birthday Democrats,” both of which fit-in quite naturally with the set list’s GBV staples. There’s also a Monkees’ cover, “Saturday’s Child” whose lyrics Pollard almost mumbles through while the band is busy playing the hell out of it. What starts off as a joke quickly evolves into a massive rocker of a cover. The current GBV line-up, Bobby Bare, Jr., Mark Shue, Kevin March and Doug Gillard have such a natural musical rapport one would be forgiven for mistaking them for a much older group. At times on Ogre’s Trumpet GBV resembles The Who, in terms of their massive sound and musical cohesion. And Pollard, for his part, is so locked into the performance that he barely interacts with the audience, choosing instead to blurt-out a song's name milliseconds before the band launches into it. 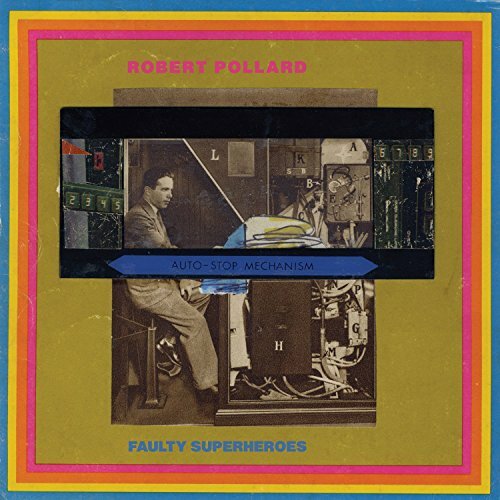 On “Gold Star for Robot Boy” Pollard actually croons the title, counts off 1,2,3… and the band turns a rather innocuous Bee Thousand track into power pop gold. The recording is solid. The band is in peak form and the audience is enthusiastic. This would have been a magical show to see in-person. Listeners get the next best thing with Ogre’s Trumpet, a document of Guided By Voices proving once again that, for the sheer volume of content they crank out, they are still worthy of all the hype. Guided By Voices announce new double LP, Robert Pollard's 100th!